Today was Day #3 of Chocolate and Gluten-Free Cookie Theme Week. 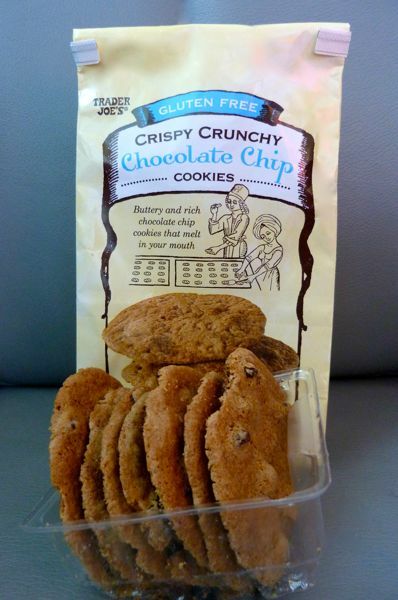 These Gluten Free Crispy Crunchy Chocolate Chip Cookies from Trader Joe's (Monrovia, CA) were relatively thin and golden brown, with softer morsels of rich chocolate. Well executed, with just a hint of vanilla, these cookies may appeal to those who prefer thinner, wafer style treats over thicker, mounded cookies loaded with sweet lumps. 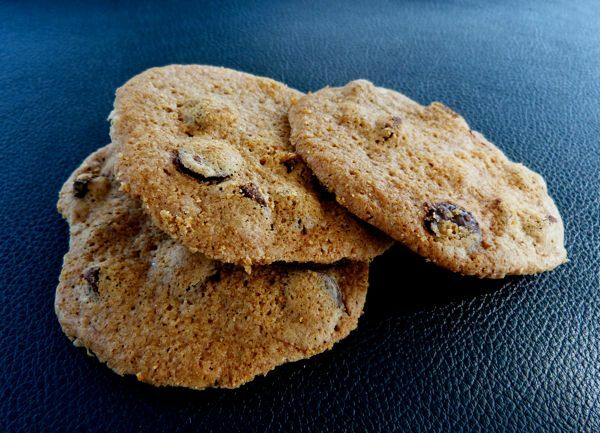 As with other natural tasting wafer cookies, butter and brown sugar helped create just the right crunchy texture. The cookies provided further evidence that gluten free doesn't have to mean sodden or crumbly when it comes to baked goods. Trader Joe's started offering gluten free products many years ago, and they've continued to be a reliable source of chocolates and tasty gluten, free offerings.